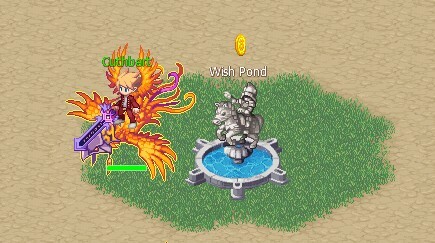 The wish Pond is a feature on Serenia Fantasy that allows players to make a wish, this in turn gradually accumulates coins in the Pond. After a certain amount of coins are accumulated, the Pond will burst out coins around it for players to pick up. This happen randomly by chance whenever players make the wish and is purely luck based.